The commander of British forces in Egypt, General ‘Sir’ Archibald Murray, is eager to complete the advance across the north of the Sinai, believing this will compel the Turks to abandon their inland outposts. This evening the Anzac Mounted Division, under the command of General ‘Sir’ Henry George Chauvel rides out of El Arish towards Rafa where a 2,000-strong Turkish garrison is based. The commander of the Desert Column, General Philip Chetwode, travels with the division to supervise the attack. This will be the third and final major battle mounted by the British to drive the Turkish forces from the Sinai. The aircraft carrier HMS Ben My Chree is hit and set on fire by Turkish shore batteries off Castelorizo on the southern coast of Asia Minor. She will burn for another two days and before finally sinking at her moorings. Brigadier General R H W Dunn (Royal Welsh Fusiliers) dies on service at home at age 60. He is the son of General William Dunn and the son-in-law of General George Erskine. Vice Admiral ‘Sir’ George John Scott Warrender KCB KCVO (Royal Navy) the 7th Baronet dies on service at age 56. Lieutenant Philip John Rupert Steele (Australian Field Artillery) is killed in action at age 27. He has two brothers who will be killed in the Great War. 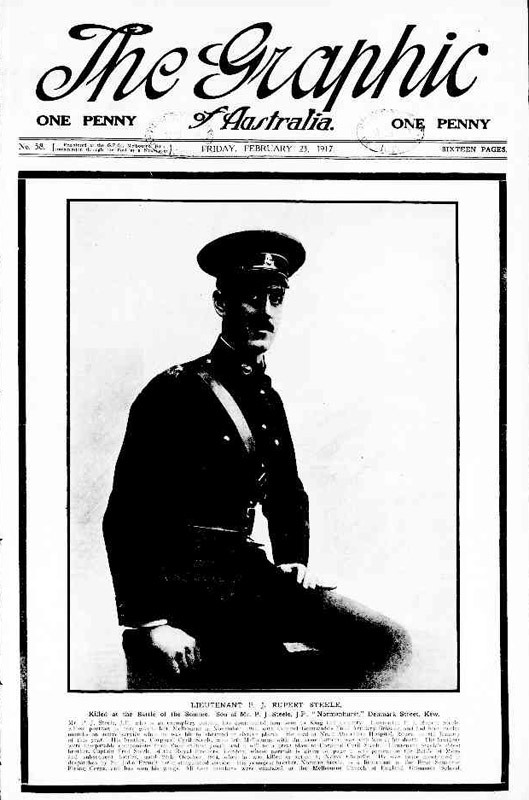 Second Lieutenant Eric Leslie Vickers (Rifle Brigade) dies of wounds received in action. He is the son of the Reverend Nathanael Vickers of St Simon’s Vicarage, Southsea. Private Albert E Prior (Sussex Regiment) dies at home at age 23. He has two brothers who will lose their lives in the War. Private Percy C Pink (Sussex Regiment) dies at home at age 28 of disease. His brother will be killed in September 1918.